If you haven’t done so yet, I encourage you to check out the new Holiday Catalogue and view the wonderful products and project kits for all the fun celebrations coming in the months ahead. Just click on the link to view the catalogue in PDF form. Details for this class and photos of projects will be coming throughout this month but if you’d like to attend, you can put this on your calendar now! Have you tried the new Baker’s Box Thinlits?! If you don’t make boxes or 3D items because they can be finicky, it’s time you tried this box! I had everyone at my class last week make one and they all agreed it was the easiest box they have ever made! The dies make it so the pieces are cut out and scored perfectly and a box comes together in a snap! 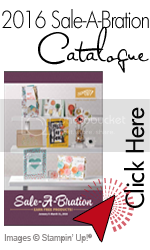 Have you ever gone through a new Stampin’ Up! catalogue and had a stamp set jump right out at you? For me, Garden in Bloom was that set. I was immediately drawn to it. It was my first choice for new stamps. And the matching DSP is so yummy! I used it to make this card for the New Products Class I held last week. Can you see what else is new? The background is the new Brick Wall embossing folder and I used a touch of the matching DSP, English Garden, as well. My New Product Class is this week and I just had to use the Build a Birthday stamp set for one of the projects! It’s simply adorable! The new Cherry on Top DSP stack and matching washi tape just compliment this stamp set so well. Have you discovered the new Envelope Paper on page 149 of the new catalogue? 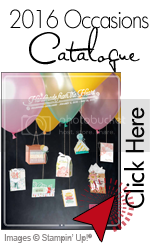 What a great addition to the Stampin’ Up! products! RSVP: by June 11th; THAT’S TOMORROW!